Hundreds of scientists, medical doctors, and health professionals issued a statement of concern about the use of triclosan and triclocarban, common antimicrobials used in personal care, consumer, and building products. These chemicals are endocrine disruptors; as such, they can pose risks to reproductive and developmental health. 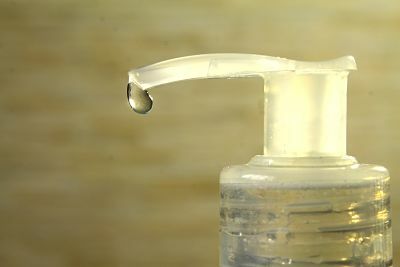 According to The Florence Statement on Triclosan and Triclocarban, published June 20, 2017, “in personal care products like hand soap, there is no evidence that use of triclosan or triclocarban improves consumer or patient health or prevents disease.” Without evidence of benefits of these chemicals in common, everyday products but with evidence of potential harm to human and environmental health, the scientific consensus statement urges extreme caution around their use. Learn more here. Texas PSR’s Toxic-Free Child program addresses the topic of antimicrobials like triclosan and encourages parents and caregivers of babies and young children to avoid personal care products that contain these endocrine disruptors. For more information on the Toxic-Free Child program and how you can bring this educational program to your patients or community, please contact our executive director.